Whether you decide to explore Croatia from Split to Dubrovnik or to get a taste of Greece from Athens all the way to the Greek Islands (Santorini or Mykonos), expect your Mediterranean getaway to be filled with once in a lifetime experiences. What better way to spend your holiday than surrounded by clear blue waters, picturesque villages, delicious food and smiling faces? 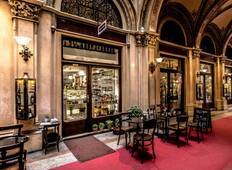 Witness the stunning rebirth of Zagreb as you explore its quaint cafes, restaurants, museums and galleries. 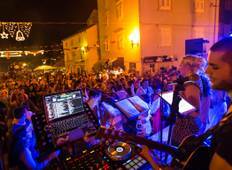 Dive into shimmering Adriatic waters, discover secluded coves and party the night away in Hvar. Enjoy the heady fragrance of the ocean breeze and walk around impressive battlements that protect the coastal fortress town of Dubrovnik. Follow walking trails around cascading waterfalls, pristine lakes, delicate meadows and lush forest canopies in the heart of Plitvice Lakes National Park. Discover the sheer magnificence of the Acropolis in the birth place of Western thought, Athens. Delve into Orthodox spirituality as you stroll around the Meteora monasteries, perched atop rocky pinnacles. Explore rustic villages and landscapes filled with the scent of Cyprus trees in Corfu. Discover monuments brimming with historic significance and experience a scintillating night of music, food and drink in Thessaloniki. Use the term ‘Nai’ for ‘Yes’ and ‘Oxi’ for ‘No’ while in Greece. Dress modestly when visiting religious sites and places that are away from the beach in Greece. While visiting a Greek Orthodox Church, do not venture behind the sanctuary as this space is only meant for priests. Refrain from posing with statues as the Greeks consider this to be disrespectful. Wear reef shoes to protect your feet on the pebble-rich beaches around Split. Practice Croatian phrases such as ‘Bok’ (Hello), ‘Molim’ (Please), and ‘Hvala’ (Thank you). Sample Croatian delicacies such as ‘Janjetina’ (roast lamb) and ‘Salata od hobotnice’ (octopus salad). If you want to shop for souvenirs in Hvar, look for beautiful glass bottles containing fragrant lavender oil that are a specialty of this region.